someone else would do it for you. This past week was a relatively lazy cooking week for me beginning with red beans and yellow rice on Monday. 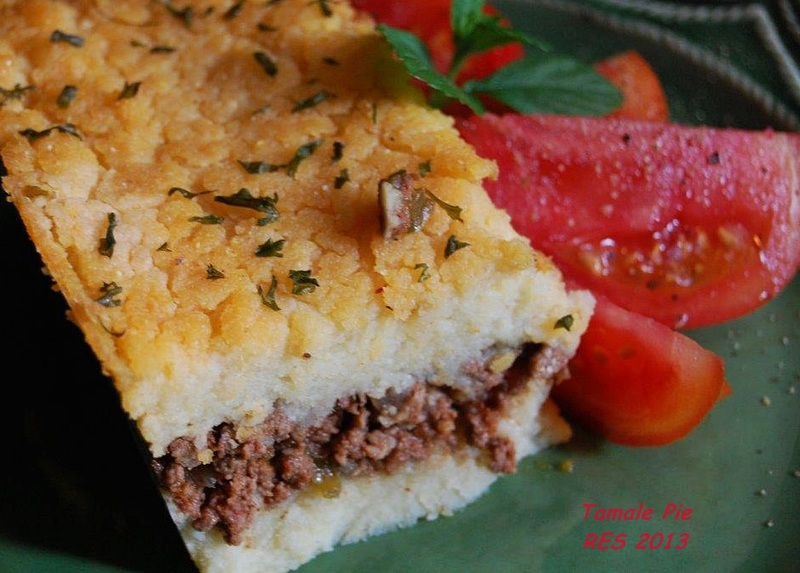 Tuesday a tamale pie and heirloom tomato and avocado salad, Michael loved both dinners, but my favorites of the week were the Wednesday chicken wings seasoned with Phillips seafood seasoning, grilled served and with homemade buttermilk ranch house dressing potato salad. For wing dipping sauce I added hot wing sauce to some of the ranch dressing, sorry no pictures, but trust me they were good. Thursday slacker night dinner was the wonderful lasagna Bolognese for two that I had in the freezer and a fresh wedge salad with buttermilk avocado dressing, not exactly an Italian dressed salad, but Michael was grateful for the “creamy” dressing, he loves any creamy dressing. Friday brought the sniffles and sneezes what I thought would turn into a cold so I decided that it would be a good night for the magical ramen broth that I packed away in quart sized containers just for comfort food nights. 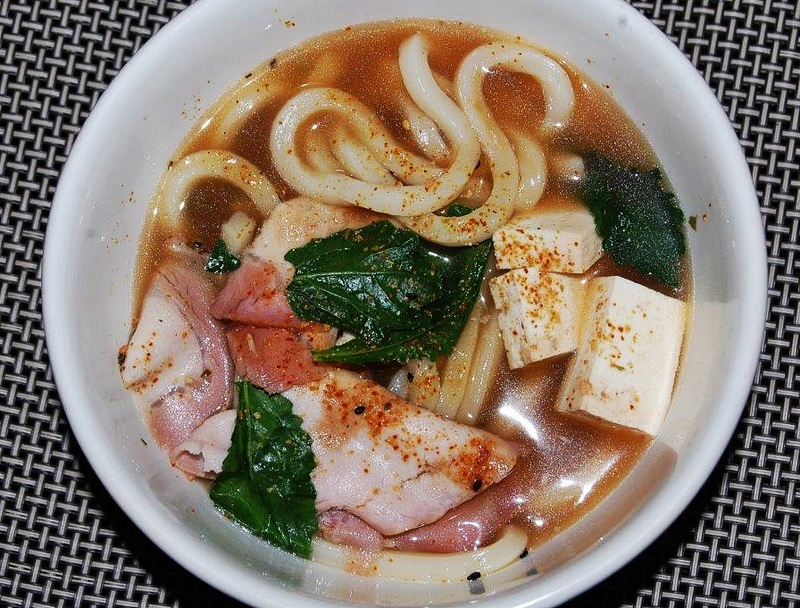 The magic of ramen, no sniffles, sneezes or cold symptoms today. With ugly chores out-of-the-way straightening the pantry out and refrigerator diving, I find that I have the makings for a nice pot of ‘scarole soup, yet another bone warming soup for another cold, rainy, day and night. More on the new recipe that I am trying out later, but for today let me leave you with a few recipe contributions, the Ranch Potato Salad, avocado butter milk dressing, and the tomato salad. Mash the avocado in a medium bowl. Add the buttermilk, sour cream, savory, marjoram, salt, pepper, and garlic powder and whisk until smooth. The dressing will keep in the refrigerator for up to 2 weeks. This easy side dish uses ranch dressing and simple additions to create a potato salad that tastes like you worked all day on it. The dressing contains salt, so you may not need more; taste and see. Place the potatoes in a large pot, add enough water to cover them, cover the pot with a lid, and bring to a boil. Cook until the potatoes are pierced easily with the tip of a sharp knife, 15 to 20 minutes. Drain and let cool until you can handle them but they are still warm. Peel and cut into approximately 1-inch pieces. 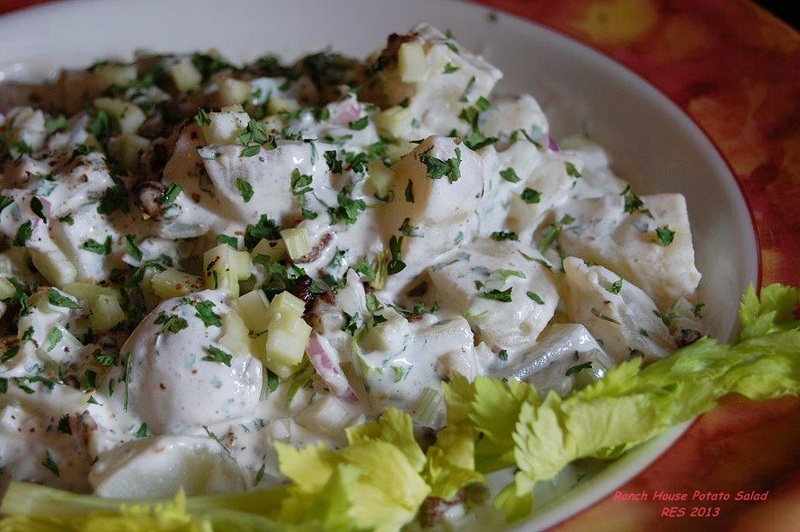 In a large bowl, combine the ranch dressing, red onion, celery, parsley, bacon, and black pepper. Taste, then add salt, if needed. Stir in the potatoes. Cover and refrigerate for several hours to overnight. 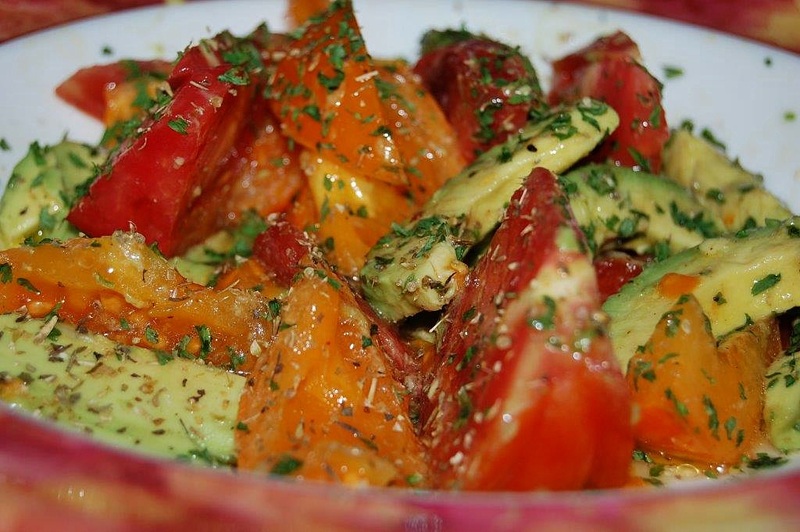 Wedges of heirloom tomatoes, slices of avocado seasoned with red wine or white balsamic vinegar, EVOO, salt and pepper to taste, a sprinkling of minced cilantro, and a squeeze of fresh lime juice. Notes: make extra marinade if grilling the wings, reserve enough for basting before adding wings to marinade. Combine the lemon juice, olive oil, vinegar, and seafood seasoning in a small bowl. Place the wings in a resealable plastic bag. Pour the mixture over the wings and shake the bag to coat them. Refrigerate for 6 hours or overnight. Remove wings from marinade to a plate and sprinkle lightly with seasoning. Grill on medium high turning often until done. For oven preheated 375°: Cover a rimmed baking sheet with foil and spray the foil with nonstick cooking spray. Remove the wings from the marinade and place them on the prepared baking sheet. Discard the marinade. Bake for 25 to 30 minutes or until done.